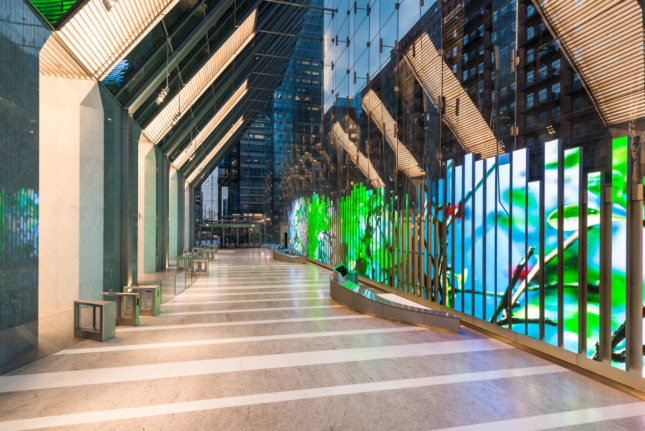 A new art installation has recently been illuminated in the epic lobby of the Goettsch-designed 150 North Riverside. 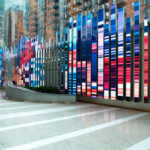 At 150 feet long and 22 feet high, 150 Media Stream is an ever changing digital installation comprised of 89 LED blades. 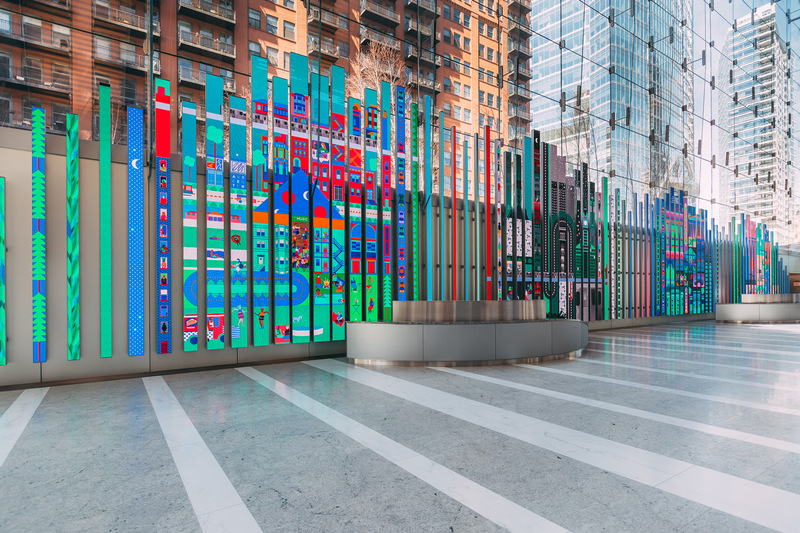 Commissioned by the building’s developer, Riverside Investment & Development, the installation was closely integrated with 150 North Riverside’s design. 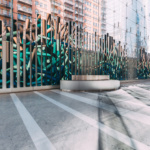 “150 Media Stream represents an interesting convergence of art, architecture, and technology, and we believe it celebrates the transformational experience of media art,” said Yuge Zhou, creative director at Riverside Investment & Development. 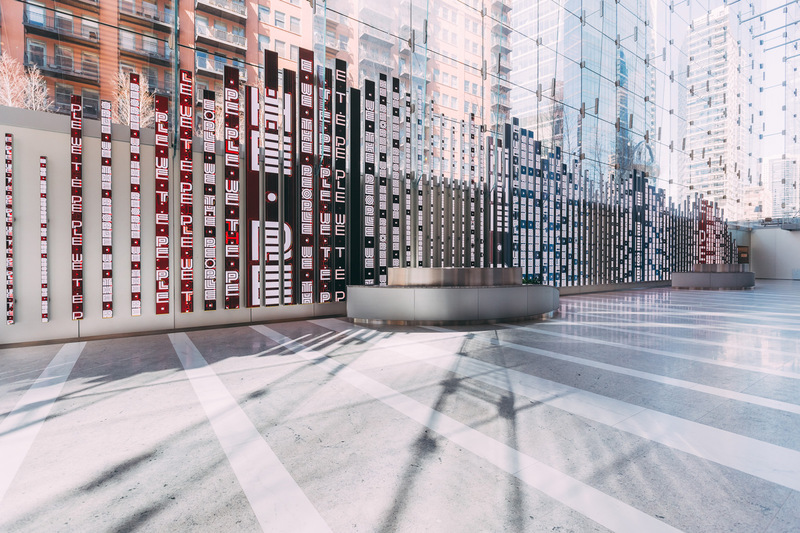 The physical components of 150 Media Stream were designed and constructed by McCann Systems, who worked with Digital Kitchen. Chicago-based Leviathan produced the initial artwork and content delivery system. 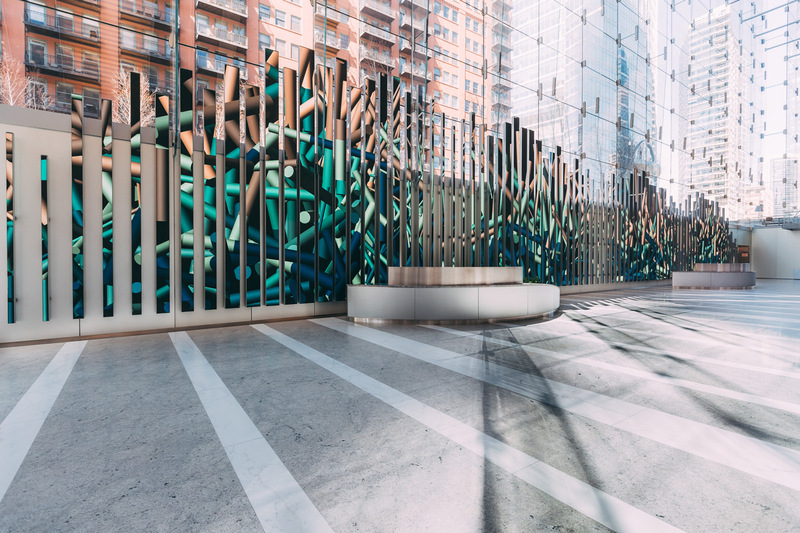 “We set out to build a flexible, intelligent system of endless digital content that would make 150 Media Stream look exceptional, every moment of every day,” explained Jason White, executive creative director of Leviathan. The artwork that will be displayed on the installation will be commissioned from artists and students. A series of collaborative projects have been specifically created for the piece in classes sponsored by Riverside. Partnering cultural and educational institutions also contributed. 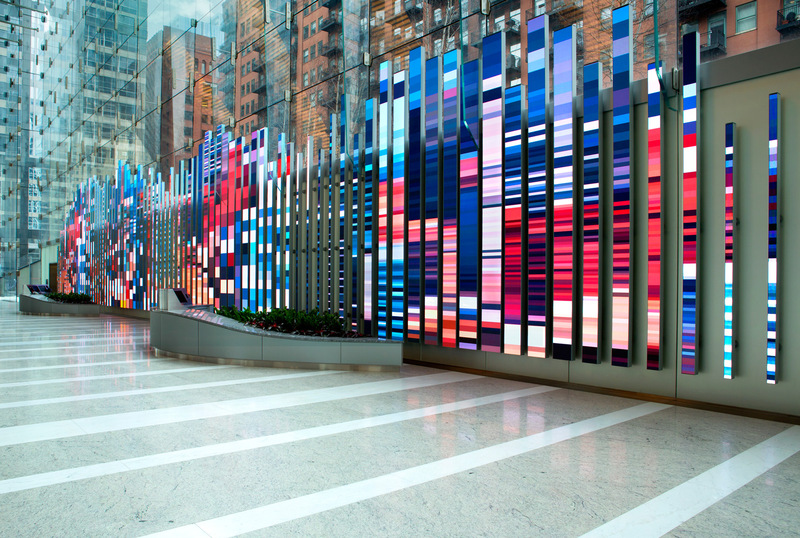 The first prominent artist to be featured on the installation will be Chicago-based new media artist Jason Salavon. Coupled with its site specificity, this will be one of the largest pieces Salavon has ever done. 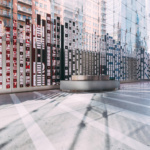 “The opportunity to explore these aspects of this project was intriguing. 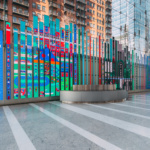 There is no other video wall in the world that looks like this one,” Salavon said.